It is with the heaviest heart, that we share the sad news that Heaven has gained another Angel. Sweet CeCe earned her wings tonight. We can not express in words our sorrow…It hurts…and there never seems to be enough time. CeCe joined our rescue in late June of 2014. She was 10 years old, hadn’t been vetted in over 5 years, and lived inside a crate the majority of her life. She wasn’t fond of many people because of it and had many trust issues to overcome. Her mommy Carson gave her the best life. She became a different dog that was eager to meet people, give kisses, accept other dogs, cats and even horses. She learned to walk on a leash, to sit, to trust. For the last year and a half, CeCe finally knew what it meant to be loved. She finally had the life that was always meant to be. We thank Larry and his staff at Playful Pets Playtime, foster Lolitha, and to her mommy Carson for working so hard to make her whole. Thank you Carson for loving her. From her mommy, “My sweet little fox died tonight. I’ve known for a while now that her heart would give out some day, and I tried my best to prepare for it. But of course I wasn’t ready to say goodbye. “My sweet little fox died tonight. I’ve known for a while now that her heart would give out some day, and I tried my best to prepare for it. But of course I wasn’t ready to say goodbye. It’s hard to believe we’ve been together less than a year and a half. In that time, she has been the biggest joy in my life, and the thing that gets me out of bed and facing the world every day. It’s hard to think about what even happens next. Thank you all for helping me give her the best and happiest final year ever. Thank you for loving her with me. 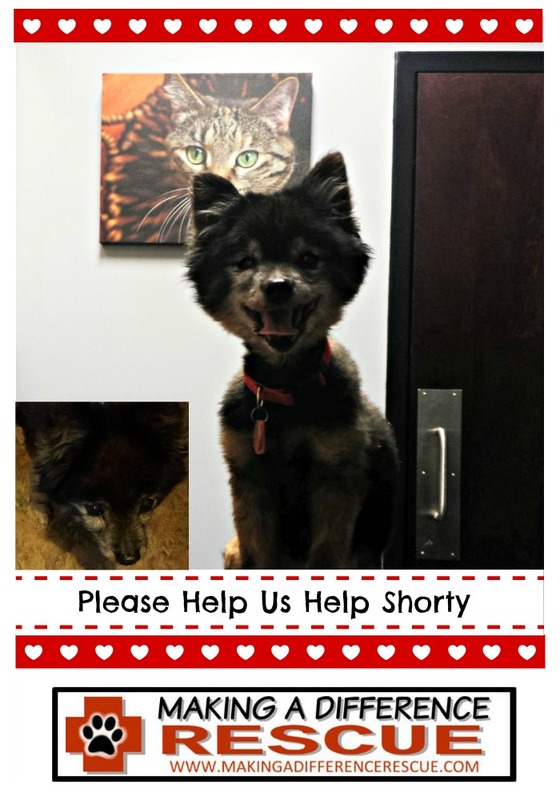 Shorty is a 15 year old Pomeranian that was surrendered to a local kill facility in late June of 2014. At 15 years old, he is still feisty, happy and full of energy. He can run up and down stairs and has proven to get along with dogs of all sizes, cats, children and people. We as a rescue have been shocked that applicants have withdrawn their applications because he is still full of life and mobile. On 1/4/16, Shorty developed a large swelling under his right eye. We brought him into our vet and discovered that he had a Carnassial Tooth Abscess in the 4th premolar. His back teeth are fused together by tartar build up. This is extensive and major surgery, especially for a dog of his age. He had one round of blood panel and urinalysis and the vet has placed him on 2 weeks antibiotics to prepare him for surgery. He will then be subjected to another round of blood tests and xrays to be sure that is heart is not enlarged because he has a slight heart murmur. These need to be performed in order to ensure his survival. We’d like to ask for your help. that is funded solely by donations made by the public. We have several fundraisers set up. Snap It Forward has generously set up a page to donate 35% of their jewelry sales to our rescue to help. We will also be featured at the BarkBox Comedy event on January 21, 2016 at Chicago Party Animals Loft Venue. Bessie also known as Penny was born June 22, 2015. She currently weighs 5.5lbs. She is more timid than her litter mates. This little one was the runt of her litter. She is easily startled by sounds and takes longer to adjust to new people, places and experiences. She thrives in the company of other dogs. She needs to be around confident dogs to learn from. We have learned that she is food motivated. Cheese works wonders. She is going through her puppy stages and is doing much better with her inside manners. She would do best in a quiet home with another confident dog. Due to her timidness and fear issues, we feel that she would be happiest in a home that isn’t over stimulated with children and multiple guests coming in and out. She is extremely affectionate and loving with those that have gained her trust. Application, screening and home visit is required before an adoption can be approved. 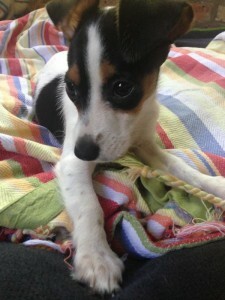 She will be UPTD with vaccinations and spayed. Inquiries must be within a reasonable distance of Channahon, IL. Charlie was born on June 22, 2015. He currently weighs 6.5lbs. 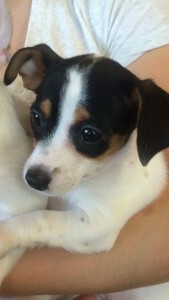 Charlie is a typical happy, outgoing, curious puppy. He does take time to warm up and is extremely attached to his person. 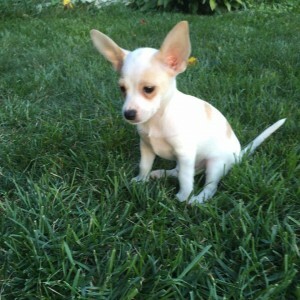 He has lots of puppy energy and will need more training and help to learn his indoor manners. He does prefer women to men. This is what love looks like. This is what love can do. 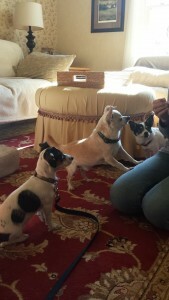 We wanted to share with you this happy update of MADR alumni, Mallie, now known as Lola. Her skin and hair have mended when we were told that there was little chance. Her spirit has been lifted and she has truly come out of her shell. We are so grateful for her new family who had found her in her condition and were determined to give her a home and reached out to us to help them help her and for her many angels who advocated for her. She is loved. 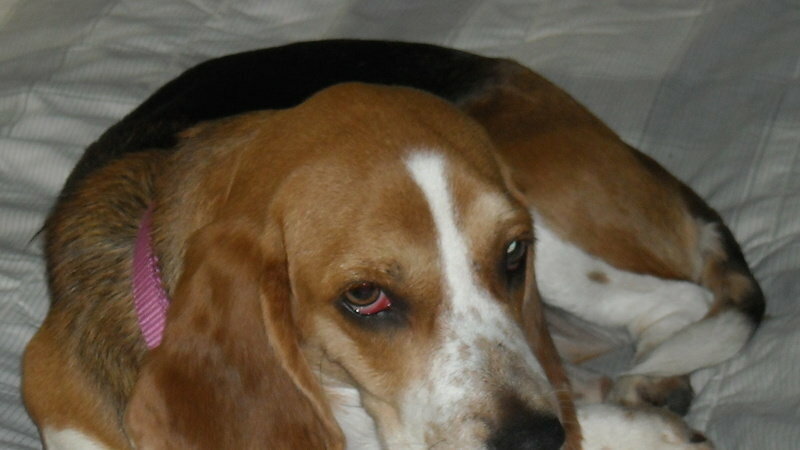 We are overjoyed to share the happy news that Roscoe, now known as “Pisac” has found his fur-ever home! This has been a big month for his new Mommy Marti. She will be completing her CE Certification as Veterinarian Technician. 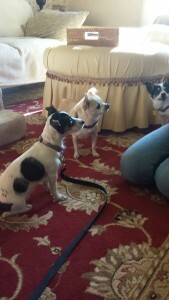 Big sister Nelly is already a Certified Therapy Dog. Pisac has exciting adventures and experiences ahead of him! 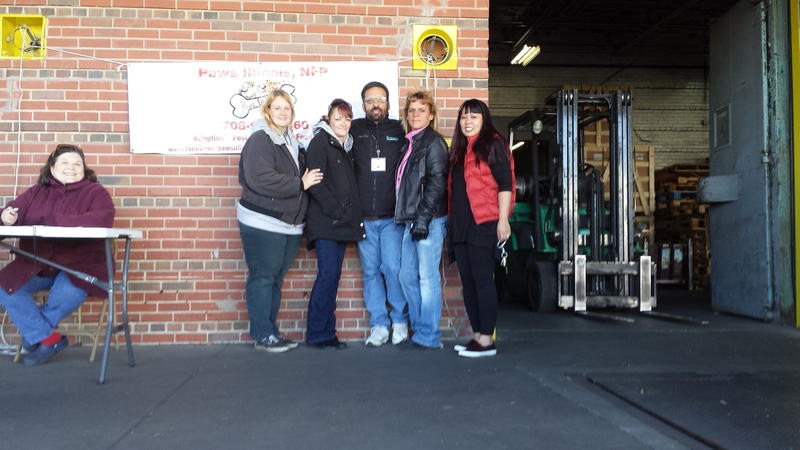 We wanted to give a huge thank you to an amazing organization, Paws Illinois, NFP. We are so grateful for your donation, help and generosity. Special thanks to Michael Tellerino, CEO of PAWS ILLINOIS, NFP. for his fore sight and vision to help keep pets out of shelters and at home. on assisting all United States Veterans – living in Chicago and the surrounding suburbs – many of whom have been injured while serving our great country or suffer from PTSD (Post Traumatic Stress Disorder). PAWS ILLINOIS would like to show our gratitude to these heroes by offering Veterans with service dogs a LIFETIME supply of food, routine medical and spay/neuter services for their service dog companion at no cost. Please show them your support, donate and like their facebook page! Please read the petition below as this affects you and your fur loved ones and their return to you if they should get lost. Our mission as a rescue has always been to help keep homeless animals out of the shelter. We have also provided help when we can to help others keep their loved ones at home so they do not have to enter the shelter system. Education is empowering. Educate yourself and protect your loved ones. The Department of Cook County Animal and Rabies Control (CCARC) does not have a facility. It is incredibly rare for an animal control department with the size of its’ county population to not operate its own facility. Dupage, Grundy, Lake, Kankakee, Kendall, Kane, Will, and McHenry County all have their own facilities to house stray animals, reunite pets with their families and adopt out homeless pets. They are funded by your tax dollars and rabies tag fees. Be a voice for your Cook County animals. “This is a petition demanding the Cook County Board of Commissioners accept the recommended changes by the Cook County Inspector General as a FIRST step towards fixing the problems with Department of Cook County Animal and Rabies Control (CCARC). The ASPCA estimates that 40-60% of animals in shelters are lost pets. Most of these pets do not need a new home; they simply need to go home. Every animal not reunited with its owner costs Cook County money. Proactively reuniting lost pets with their families should be one of the main focuses of animal control departments. When barriers prevent people from reclaiming their lost pets, the system fails. Cook County Animal and Rabies Control fails. · No facility. Nationally, it is incredibly rare for an animal control department to not operate its own facility. Kankakee, Lake, Kendall, Kane, Dupage and McHenry County all have their own facilities to house stray animals, reunite pets with their families and adopt out homeless pets. It is a complete maze in Cook County with 135 municipalities, including Chicago, having multiple facilities and making it very difficult for families to find their lost pets. With the sheer number of shelters within Cook County, a centralized database in lieu of a centralized physical facility is minimally necessary. 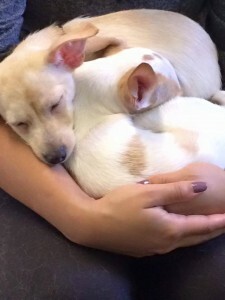 · No central repository system (microchip number and rabies tags number) available to other shelters and law enforcement to reunite pets with their families quickly. 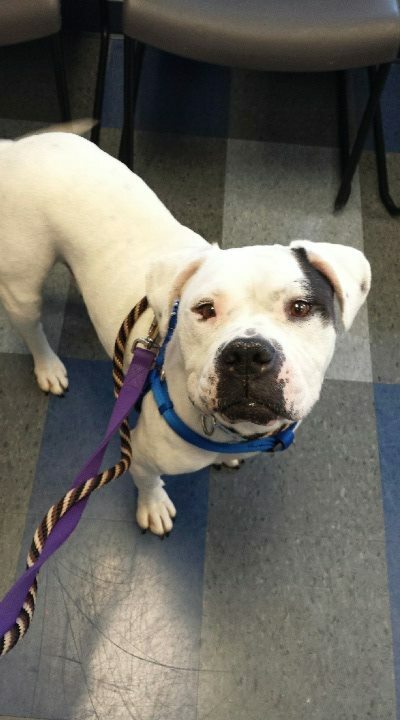 · Animal Control website fails to provide guidance to pet owners and no listings of the stray holding facilities in Cook County. · Disparity of budget and intake: Cook County Animal and Rabies Control Fiscal Year 2015 Budget $4 million – 2014 intake 262 animals; compared to City of Chicago Animal Care and Control Fiscal Year 2015 $5.5 million – 2014 intake 21,037 animals. These are just a few of the items pointed out, which are disconcerting for taxpayers and voters in Cook County (including Chicago). City of Chicago – your rabies tag monies fund this department. What services do you receive? There is a disconnect between what Cook County Rabies and Animal Control actually does and what is truly needed for residents and animals alike in Cook County.